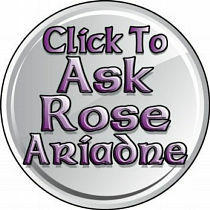 Do you have a question about Magick or Witchcraft? Just ask! I have been doing this for a very long time, and I know a lot of people have certain questions about things related to Witchcraft – but they aren’t sure where to turn. I know that many people are not accepting of our views, and I wanted to give you a safe place with an understanding Witch (me!) that you can go to for help. But you must understand – I get TONS of questions every single day, and it would be impossible to answer them all. So, I will take the most interesting (and most common) questions and answer them. I read every single question I get though, but sometimes I just have to delete some of them when my “inbox” gets into the thousands. If you are just “dying” to get an answer to your most important question – please consider “upgrading” your question for priority service. You will get an answer within 2 business days or your money is cheerfully refunded. There’s a $50 charge for priority service of your question. I will do everything I can to give you an amazing answer that could possibly change yoru life within 2 business days. If I (and my collegues) fail, I will promptly give you a full refund. Please write as much as you need in your question about Magick, Witchcraft (or anything else for that matter).